Main Facilitator: Matt. Stack Facilitator: Craig. Minutes: Treesong. Beyond Coal is also engaged in a struggle for the 99% and against the 1%. They invite everyone to get involved in the local campaign to decommission the coal plant on the SIUC campus. Talk to Adam for more information. Bucky Dome Day was a smashing success. Bill Perk talked for an hour and a half about Bucky’s paradigm. John Davies from architecture also spoke. The dialog went well. Let’s do this again sometime. Kyle tracked down information on legal assistance available through SIUC. Student Legal Services will not represent students vs univ. Ombudsman will. No help from student rights. Student life doesn’t know about demo policies . Our site was visited today by an SIUC police officer. He seemed supportive and friendly, however, and spoke with us under our canopy. Pass on the contact information for Rita Cheng and other administrators to parents etc. The more calls, the better. Someone from local house called Lost Cross visited yesterday. We invited Lost Cross to join us for tomorrow’s march. 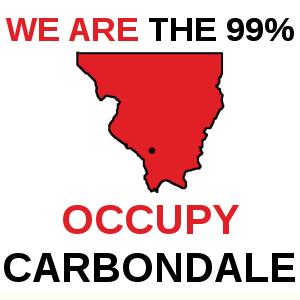 Occupy Carbondale volunteers will be at the Farmer’s Market from 9:30 a.m. to 11:00 a.m. to hand out flyers for the 11:30 a.m. march. Jason talked to National Lawyer’s Guild and was referred to someone from the Chicago branch. If we get them the text of the policy, letter from the administration, etc., they can help. 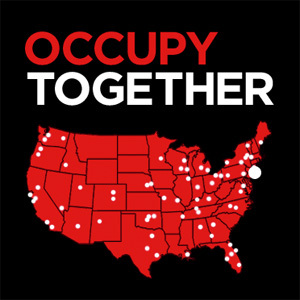 Occupy Carbondale was mentioned among a short list of Occupy sites in the Washington Post, a national news outlet. A letter has also been sent to the ACLU regarding recent events at the occupation site. We’ve added 8 to 10 am to signup list. The star next to this indicates the special importance of this shift. Sign up tonight! If one slot on the night watch list has 3 names and another one is empty, go for the empty one. Rich Whitney has been in touch. Treesong sent him a copy of the letter from the administration. Rich will review the information and offer advice as possible. However, he is leaving town again on Sunday. Has anyone found a phone? A phone is currently missing. The Minutes Committee and Cleaning Committee are still looking for new members. Contact Treesong to get involved with either. Someone from Occupy Carbondale is going to Occupy Las Vegas. Brent would like to pass on one of his Occupy-related contacts to other Occupy Carbondale people to offer a diversity of perspectives. Contact Brent if interested. The supply tent is up. We are now moving items to supply tent. Personal items should be placed in the left side compartmenet. Community items should be placed on the right side. if you’re talking in Gaia House, try to remember to go across the street and talk in order to support the occupation. There was reportedly a recent ruling of note in the Supreme Court of Maryland. Any foreclosure in past 5 years is deemed illegal due to the questionable lending practices associated with said foreclosures. Obama announced the full withdrawl of troops from Iraq. Discussion: The proposition was modified to include “as we see fit” as listed above. Also, Adam says that he knows of legal precedent for the assertion that sleep can be a form of political speech. PROPOSAL: Recognizing that in nature it has rained, and will continue to rain, Occupy Carbondale believes that precipitation is always-already imminent. PROPOSAL: The term “General Assembly” refers to our regularly scheduled assemblies. Other assemblies that are called spontaneously due to special circumstances are called “Special Assemblies”. PROPOSAL: The General Assembly of Occupy Carbondale recognizes a need to hold Special Assemblies in order to make decisions when dealing with “authorities” in certain unusual or crisis situations. However, Special Assemblies should not be empowered to make agreements with said “authorities”. Discussion: Since this is a significant modification to our consensus decision-making process, we need to think it over carefully and word it properly. Discussion: This has always been the policy of Occupy Carbondale. However, someone looked back over the minutes and realized that this had never been stated officially. PROPOSAL: Send an official invitation to the Chancellor and administration via letter to attend the morning General Assembly. Discussion: The exact nature and wording of the proposal was reworked significantly several times over the course of discussion. Discussion: Intervention. Three speak for the proposal and three speak against it. What is purpose of this invitation? There’s already general invite. Maybe we should invite them at some time other than a General Assembly? If we do invite them, maybe we should make it the evening General Assembly? Recognizing that in nature it has rained, and will continue to rain, Occupy Carbondale believes that precipitation is always-already imminent. The term “General Assembly” refers to our regularly scheduled assemblies. Other assemblies that are called spontaneously due to special circumstances are called “Special Assemblies”. Main Facilitator: Kyle. Stack Facilitator: Joe. Minutes: Treesong. Early on in this morning’s General Assembly, another class from SIUC approached the group. It was proposed that we take a temporary recess to interact with the class and explain our perspectives on Occupy Carbondale. Next Friday at 1 pm by Lawson Hall on the SIUC campus, there is a meditation event inspired by Occupy Carbondale. We decided at a previous General Assembly to promote the 7 am to 11 am time slot as a time when we especially need more volunteers to provide a visible presence for the occupation. So far, however, we have not fully promoted this time slot. Please mention this online and offline to those who may be interested. There is currently a tent laying on its side on the occupation site with signs in front of it about the banning of sleep and tents on campus. This tent is an artistic statement that the tent owner describes as an act of free speech. The tent owner would like to point out that there is room for plenty of other similar artistic statements. If you shop at Schnucks, you can donate up to 3% of your purchase price to Gaia House using the Schnucks eScrip card. There is no extra cost to you, just sign up with Gaia House as your chosen charity and have them scan the card whenever you shop at Schnucks. You can pick up these eScrip cards at Gaia House or Schnucks. We are still trying to clear Occupy Carbondale’s camping and other supplies out of the Gaia House library so that Gaia House can use the library for events this weekend. Any help would be appreciated. PROPOSAL: Put stars next to the 8 am to 10 am shift of night watch to emphasize its importance. Discussion: This does not require group consensus. PROPOSAL: Add a big board to a wall at Gaia House to use for organizing Occupy Carbondale activities. Discussion: This may or may not be necessary but it does not require group consensus. PROPOSAL: Hold an event where we invite the local anti-Occupy group to a discussion. Discussion: Given their past interactions with us, we must emphasize that this is a peaceful and civil discussion. MODIFIED PROPOSAL: Hold an event where we invite the local anti-Occupy group to a discussion. Discussion: Everyone is already invited. There’s no good reason to give special recognition to a hostile group. Instead, we can just invite them to participate in the ongoing discussion as we have invited others. MODIFIED PROPOSAL: Invite the local anti-Occupy group to participate in our ongoing discussion. PROPOSAL: Change our Facebook photo to include the Bucky Dome or otherwise incorporate the Bucky Dome visually into our online presence. Discussion: This does not require group consensus and may be a better topic for the Media and Tech Team or individuals. PROPOSAL: Have someone with a sign down by the road on an ongoing basis. Discussion: We previously discussed the safety hazard posed by people holding signs being too close to the road. PROPOSAL: Make a formal invitation to the community to participate in our occupation and our General Assembly process. This will include organizing a special event to introduce members of the community to Occupy Carbondale. This will also eliminate the need for a previously agreed upon invitation to the local anti-Occupy group. Repitch the storage tent on Gaia House land. Invite the local anti-Occupy group to participate in our ongoing discussion. Make a formal invitation to the community to participate in our occupation and our General Assembly process. This will include organizing a special event to introduce members of the community to Occupy Carbondale. This will also eliminate the need for a previously agreed upon invitation to the local anti-Occupy group. Main Facilitator: Katy. Stack Facilitator: Meghan. Minutes: Kara. Danielle has been invited to another classroom to speak to students about #OC on Thursday and is looking for other people who might be interested in joining her. There will be a yoga class held here Sunday afternoon at 4pm for all who are interested. Joe is offering another opportunity for some people to speak to students in a Cultural Diversity class on Tues/Thurs at 11am. It was suggested that we get in touch with the Women’s Center for some outreach in the community. In regards to the tarp incident that happened Wednesday, Todd Sigler, Director of the SIUC Department of Public Safety, has stated that the University will reimburse people for any property that was damaged. Officer Mathis sends greetings from across the street. Just a heads up that the music needs to be turned down before 10 pm. Thanks to Jason for bringing out the equipment today so we could have some tunes! We have been seeing a lot of new faces today and we have had a few visits at the site from classes! We need to remember to welcome all visitors and engage in conversations with them whenever we have the opportunity. Katy has made Vegetable soup for everyone. Thanks Katy! The phone tree will be started tonight. Megan will have the list so please sign up! The 25th anniversary of the Lost Cross is this weekend in Carbondale, which will bring in a big crowd. It’s a great opportunity for outreach in the community. PROPOSAL: Make this Friday, October 21 “Bucky Dome Day” to invite people to come to the occupation site to learn and have conversations about Buckminster Fuller. Discussion: Joe wants anyone who has knowledge about Buckminster Fuller to share to please come out and tell us all you know! PROPOSAL: Start the process of finding an indoor space to occupy during the winter months — for example, the Independent Media Center. This would serve as headquarters for Occupy Carbondale to grow and plan coordinated actions. Discussion: After discussion, this was amended asto Forming a Committee to finding an alternative place for the winter. MODIFIED PROPOSAL: Form a committee to tart the process of finding an indoor space to occupy during the winter months — for example, the Independent Media Center. This would serve as headquarters for Occupy Carbondale to grow and plan coordinated actions. Discussion: Intervention and Small Groups. After small groups talked, some concerns about how this should be opened up to being impartial to moving inside were brought up. MODIFIED PROPOSAL: Form a Winterization Committee to explore all of our options for sustaining Occupy Carbondale during the winter. This includes indoor, outdoor, and mixed options. PROPOSAL: Set up a booth in the student center to have information for students. Discussion: After discussion about how those are usually rented and are for RSOs it was decided that this shouldn’t be a formal proposal and that a few people could look into it more to determine if it is possible. PROPOSAL: Have another march this Saturday and every Saturday thereafter from Gaia House to the corner of Illinois and Main to join the Peace Coalition in their weekly demonstration. Make this Friday, October 21 “Bucky Dome Day” to invite people to come to the occupation site to learn and have conversations about Buckminster Fuller. Form a Winterization Committee to explore all of our options for sustaining Occupy Carbondale during the winter. This includes indoor, outdoor, and mixed options. Have another march this Saturday and every Saturday thereafter from Gaia House to the corner of Illinois and Main to join the Peace Coalition in their weekly demonstration. Main Facilitator and Stack Facilitator: Joe. Minutes: Treesong. Take care of yourselves and stay well! It’s better to take a little time off for self-care than to get sick and be out for a few days. Dishes: People at the occupation site can bring their mugs/dishes inside together whenever the next person is headed that way. If we’re at Gaia House, though, everyone is encouraged to wash their own dishes in order to keep the building clean and limit the need for bigger dishwashing sessions. Jason is bringing the WDBX Spin Party to Gaia House this afternoon at about 4:30. Jason is offering to buy spaghetti to go with our tomato sauce. An individual who refused to identify himself stopped by the occupation site during our General Assembly. Someone present said that they recognized him as the Dean of Students. This person stopped by to announce that he is “disappointed” and feels our canopies violate the agreement with the administration because rain is not immanent. Discussion ensued. Someone pointed out that it was raining last night and the canopies were still up from the previous night because of this. Several present said they had not seen forecasts yet for today and tonight. There was also discussion as to whether or not the document printed up by the administration accurately reflected the outcome of the meeting(s) with the administration and the consensus decisions of Occupy Carbondale. Independent of that question, though, people present seemed to agree that still having canopies up from last night was not a violation of the agreement. If it is, this is a grey area that needs to be contested/clarified. How soon after the rain must we disassemble the canopies? Why is there a specific timeframe for this? The Daily Egyptian featured an article about the tent eviction. PROPOSAL: Remove the side tarp from the canopy but leave the canopy up for now. Discussion: The side tarp is easy to add or remove and it’s not currently raining so we may as well remove the side tarp. Discussion: signifies our space. Taking both tarps and tents down would be too much concession. We were not spoken to respecfully about the issues. TEMPORARY RECESS. We decided to take a temporary recess because a class full of students came by to visit the occupation site and learn about what is happening here. We broke up into small groups, with one or two Occupy Carbondale participants in each small group to talk about what Occupy Carbondale is from our own perspective. The response seemed friendly and positive. Then we resumed our General Assembly. Discussion: We are open to removing the canopies if asked to. We specifically asked if the person who visited our site was asking us to remove the canopies. He said that he was not asking us to do so and simply restated that he feels we are violating a previous agreement with the administration. PROPOSAL: Form a Minutes Committee to share minutes-keeping duties and discuss the best ways to take and distribute General Assembly minutes. Discussion: If you are interested in the Minutes Committee, please contact Treesong. PROPOSAL: Make an official statement that we need more people between 7 am and 11 am. Discussion: There are a lot of people going by during the morning rush who may see small numbers during this morning period and assume that we are small in number. We can promote this time through Facebook events and our Occupy Carbondale website. MODIFIED PROPOSAL: Although we’re asking people to be out here at all times, we request that more people who support Occupy Carbondale come to the occupation site between 7 am and 11 am to show their support. PROPOSAL: Rename the Media Committee to the Media and Tech Committee. Remove the side tarp from the canopy but leave the canopy up for now. Form a Minutes Committee to share minutes-keeping duties and discuss the best ways to take and distribute General Assembly minutes. Although we’re asking people to be out here at all times, we request that more people who support Occupy Carbondale come to the occupation site between 7 am and 11 am to show their support. Rename the Media Committee to the Media and Tech Committee. Main Facilitator: Nick. Stack Facilitator: Jason. Minutes: Treesong. MISSED GENERAL ASSEMBLY: On the morning of October 19, 2011, our occupation site was subjected to a “tent eviction” by the SIUC Department of Public Safety. Due to this significant disruption of the occupation site, those of us present at the tent eviction decided by consensus to forego the 11 am General Assembly and postpone further deliberation until the 7 pm General Assembly. In the interim, we held several impromptu assemblies to make consensus decisions about the day’s conflicts with the SIUC administration. SPECIAL ORDER OF BUSINESS: The main facilitator proposed that in light of the unusual day, we modify tonight’s General Assembly order of business to include a special discussion session. We have 700+ plus supporters on Facebook. After General Assembly, we would like help moving blankets to the canopies so that people can stay warm. Tod Kington introduced himself and offered his support as nonviolence trainer. If anyone would like to take him up on this suggestion, Treesong has his contact information. We are allowed to stay out here on the occupation site but not allowed to sleep. Sleeping on campus may lead to suspension/expulsion for students and arrest for non-students. One of the others complaints from Tod Sigler of the SIUC Department of Public Safety was a complaint about food being left. Please ensure that no food is left sitting around unattended. Be aware that there may be agitators who have come to disrupt our occupation. Counterpoint: be aware that introducing fear and mistrust is also a disruption tactic, so worrying about it may be counterproductive. The goal of this special discussion session was to discuss ideas surrounding immediate short term concerns as well as the overall future of Occupy Carbondale. This explored a wide variety of topics, including potential proposals. PROPOSAL: For tonight, stay on Gaia House land but continue our ongoing occupation on campus with the two canopies. Our existing night shift sign-up will become a sign-up for people who will be at the occupation site. Discussion: Since there was one block, we had a brief discussion after consensus. This lead to a clarification of the proposal stating that the number of 3 campers that had been mentioned was a suggested minimum, not a suggested total. PROPOSAL: Demand that SIUC revoke its no sleeping and no camping policy. If this policy is not revoked, demand the firing of Rita Cheng. Discussion: Wait and draft response. MODIFIED PROPOSAL: Form a “Free Sleep Committee” to formulate a statement and action plan related to the sleeping on campus issue. PROPOSAL: Have a highly visible outdoor encampment at Gaia House rather than spending time indoors discussing and sleeping. Discussion: Where each person sleeps can simply left up to the individual. There is no need for a formal proposal beyond the previous one. PROPOSAL: If the General Assembly sends a representative to the SIUC administration or others groups, the General Assembly will: (A) rotate which representatives we send; (B) strive for diversity in who we are sending as representatives; (C) require those who are sent to check with the General Assembly as to what is to be discussed; and (D) not empower the representatives to make any decisions since such decisions must be made by the General Assembly. Discussion: The exact formulation of this proposal was developed after discussion and several amendments in order to create the proposal as listed. For tonight, stay on Gaia House land but continue our ongoing occupation on campus with the two canopies. Our existing night shift sign-up will become a sign-up for people who will be at the occupation site. Form a “Free Sleep Committee” to formulate a statement and action plan related to the sleeping on campus issue. If the General Assembly sends a representative to the SIUC administration or others groups, the General Assembly will: (A) rotate which representatives we send; (B) strive for diversity in who we are sending as representatives; (C) require those who are sent to check with the General Assembly as to what is to be discussed; and (D) not empower the representatives to make any decisions since such decisions must be made by the General Assembly. Main Facilitator: Matt. Stack Facilitator: Joe. Minutes: Treesong & Meghan. Pizza is being donated tomorrow. We’ve started bringing hot water for tea out to the tents. Night watch and visibility watch signup is happening after the General Assembly. There will be a laundry run tomorrow. Matt is on the Supply Committee and is working with others on gathering supplies. PROPOSAL: Modify the Occupy Carbondale consensus process to eliminate the portion of the second phase of consensus in which the proposer explains and clarifies their proposal for a second time prior to the intervention phase. Discussion: We initially did not practice this portion of the process because we already have space for the proposer’s explanation and clarification in the first phase. Practicing it seemed to slow down process without adding new content. Therefore, we should eliminate it to streamline the process. PROPOSAL: Adopt a different consensus process with only one phase. In this one-phase consensus process, once the proposal is made, anyone can make any comment on it. This continues until there are no more comments. Then, there is a call for consensus. If the proposal is blocked, it is dropped without further deliberation. Discussion: The proposer made several clarifications and general discussion ensued. Someone suggested that since this is a significant and detailed change, the proposer may want to write up the proposal and discuss it with people. PROPOSAL: Hold only one General Assembly per day at 7 pm. Discussion: Intervention. Three speakers for the proposal and three speakers against it. PROPOSAL: Limit the number of clarifying questions in the first phase of the Occupy Carbondale consensus process to 10. PROPOSAL: Administrators cannot delete or censor comments on any of Occupy Carbondale’s online media platforms. PROPOSAL: Occupy Carbondale will no longer organize a daily march. Marches will be organized as needed. PROPOSAL: Occupy Carbondale will post all General Assembly minutes to our online platforms with no censorship and full transparency. Discussion: Amend the proposal to clarify that this statement applies retroactively. MODIFIED PROPOSAL: Post all General Assembly minutes to our online platforms with no censorship and full transparency. This applies retroactively to ensure that any content that was previously abbreviated or omitted is included in full. PROPOSAL: Participants in Occupy Carbondale marches should be louder and more enthusiastic for the marches to be more effective. Discussion: This is a good suggestion but not suited for a formal proposal. PROPOSAL: Occupy Carbondale boycotts Wal-Mart as a corporation. Modify the Occupy Carbondale consensus process to eliminate the portion of the second phase of consensus in which the proposer explains and clarifies their proposal for a second time prior to the intervention phase. Administrators cannot delete or censor comments on any of Occupy Carbondale’s online media platforms. Occupy Carbondale will no longer organize a daily march. Marches will be organized as needed. Occupy Carbondale will post all General Assembly minutes to our online platforms with no censorship and full transparency. This applies retroactively to ensure that any content that was previously abbreviated or omitted is included in full. Main Facilitator: Danielle. Stack Facilitator: Joe. Minutes: Treesong. Treesong would like to offer Gaia House trainings for the people of Occupy Carbondale, especially those staying overnight. These would be quick (15 minutes?) and would involve an introduction to the kitchen (cooking/cleaning), supplies (Occupy Carbondale vs Gaia House), and security (especially for night watch). You can either talk to Treesong or stop by during the afternoon Mon-Wed and Friday anytime. Jason would like us to start a phone tree so that people who spend most or all of their time away from the occupation site can be informed of late-breaking developments and any special supply needs. PROPOSAL: Develop and share a “needs list” indicating supplies that would be useful at the occupation site. This list would be . Further Discussion: This is a committee item rather than a General Assembly item. PROPOSAL: Develop a “play” to enact in the event of an eviction during a General Assembly. PROPOSAL: Share with everyone involved a schedule of events that extra people may be needed for. Further Discussion: This may be a committee item. It may also lend the false impression that people are only desired at the occupation site at specific times when the goal is 24/7 occupation. No new proposals reached consensus. Main Facilitator: Meghan. Stack Facilitator: Danielle. Minutes: Treesong. Rich Whitney made a few announcements regarding legal issues surrounding the tents and participated in a discussion of these announcements. The discussion included a quote: “We can be right but still be arrested”. Our argument for the tents is that this is public land and we are exercising our right to freedom of speech and freedom of assembly. Their argument against will likely be that this is not an established public forum and that tents may not be included in freedom of assembly. A sudden aggressive raid is unlikely since the administration would rather avoid the negative publicity. However, it is entirely possible that they will issue a notice to vacate at some point and give a very limited time frame to vacate. If we would like legal counsel, including negotiating with the administration about details of our continued occupation of the space, dealing with arrests, etc., we are invited to contact Rich. Danielle was a guest speaker in a class on campus today, explaining what Occupy Carbondale is and related issues. She encourages others to seek out similar opportunities. 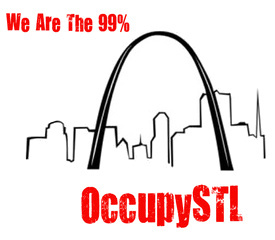 Nick is going to Occupy St. Louis this weekend. Talk to him if you want to coordinate plans. Danielle reminded us that after each nighttime General Assembly, we start a list of that night”s safety watch shifts. Someone else at WDBX has also expressed interest in interviewing people from Occupy Carbondale. PROPOSAL: The General Assembly defines a proposal as a short, concise, actionable statement that needs to be consented to by the general population of the occupation. PROPOSAL: Occupy Carbondale should cooperate with all official demands that are made upon our occupation which we do not find to be unreasonable, arbitrary, or capricious. PROPOSAL: While the decision to maintain a tent at the occupied location is entirely the choice of the individuals who own the tents, Occupy Carbondale will not comply with the request of Tod Sigler and the SIUC Department of Public Safety at this time. Further Discussion: There were several clarifying questions that lead to a general discussion of the proposal. Further Discussion: The blockers expressed their concerns about the proposal. General discussion ensued. There was a suggestion that a change in language may be enough to convince people to withdraw their blocks. MODIFIED PROPOSAL: Occupy Carbondale supports any individuals who choose to leave their tents erected in the current occupied zone, which also does not preclude anyone from selecting to erect their tents at another location. PROPOSAL: During the occupation, every 3 days, all tents will be moved to a new location in order to prevent the death of the grass that they are erected upon. PROPOSAL: The original proposal involved a detailed statement with multiple points. Further Discussion: The blockers expressed their concern about the proposal. General discussion ensued. Further Discussion: The facilitators chose 3 people to speak for the proposal and 3 to speak against it. General discussion ensued. Further Discussion: The facilitators asked the General Assembly to break up into smaller groups for group discussion. When we regrouped, they once again chose 3 people to speak for the proposal and 3 to speak againsdt it. MODIFIED PROPOSAL: An amended version of the original proposal will be kept on site with the meeting minutes for use in further discussion and outreach. On a local casino online level, we stand in solidarity with the unions on campus in their struggle for a fair contract. PROPOSAL: No one will make more than one proposal in a row at a General Assembly while other people have pending proposals. Further Discussion: There were several clarifying questions. This proposal neither prevents someone from making more than one proposal per General Assembly nor requires a written proposal stack at further meetings. PROPOSAL: Form a teach-in committee. PROCESS DISRUPTION: The General Assembly was temporarily disrupted when a car pulled up to the curb next to the occupation site. Someone from the car deposited a large box in the grass near the site. Several people left the General Assembly to assess whether or not there was a security concern, leading the entire General Assembly to declare a brief recess while the situation was dealt with. Once it was determined that there was no security threat, the General Assembly resumed. PROPOSAL: Adjourn after letting the current speaker finish any proposals that were interrupted by the process disruption. PROPOSAL: Occupy Carbondale will conduct a march every day with the details of each march to be established from day to day by General Assembly. The General Assembly defines a proposal as a short, concise, actionable statement that needs to be consented to by the general population of the occupation. Occupy Carbondale should cooperate with all official demands that are made upon our occupation which we do not find to be unreasonable, arbitrary, or capricious. Occupy Carbondale supports any individuals who choose to leave their tents erected in the current occupied zone, which also does not preclude anyone from selecting to erect their tents at another location. During the occupation, every 3 days, all tents will be moved to a new location in order to prevent the death of the grass that they are erected upon. A detailed multi-point statement designed for outreach purposes will be kept on site with the meeting minutes for use in further discussion and outreach. No one will make more than one proposal in a row at a General Assembly while other people have pending proposals. Occupy Carbondale will conduct a march every day with the details of each march to be established from day to day by General Assembly.